Weekly poll: are periscope cameras the future of smartphones? HomeBlogGSMArenaWeekly poll: are periscope cameras the future of smartphones? 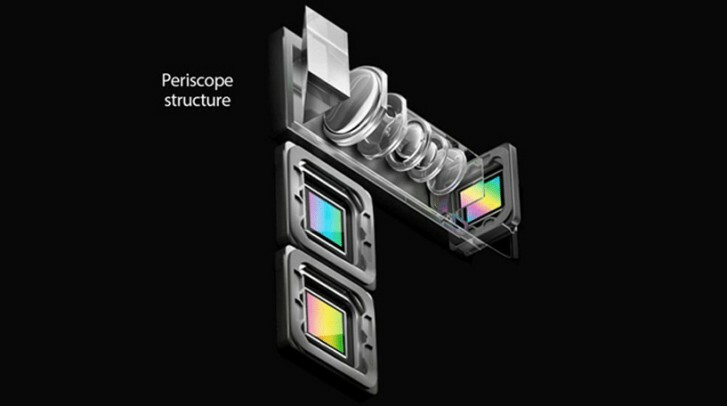 Multi-camera phones are the norm now, but the modules they use have a traditional design, one optimized for size. This limits the focal length – which, true to its name, is a measure of the distance from the lens to the sensor – meaning that telephoto cams rarely go above 2x zoom (and we’re yet to see one go above 3x). A new breed of telephoto cameras has emerged at this year’s MWC (we’ve seen prototypes earlier, but no mass market products). Yes, we’re talking about the periscope type cameras, which are called that because light is reflected 90°. This guides light along the width of the phone, allowing for long focal lengths without making the phone too thick. Better still, the prism that reflects the light can be used for optical image stabilization (vital for long focal lengths where even small hand shake is multiplied). The upcoming periscope camera modules we’ve seen from a couple of makers have 160mm focal length. Sometimes they advertise that as “10x zoom”, measuring it against a 16mm ultra-wide angle camera. A different rating will compare it to wide-angle main camera (typically in the mid-20s millimeters) and dub it 5x. For comparison, the tele camera on the Huawei Mate 20 Pro is 80mm, giving it 3x optical zoom over the 27mm main camera. So, if the P30 Pro keeps the main camera at 27mm and it uses a 160mm periscope telephoto lens, that will be 6x zoom. In case you’re new to this, “millimeters” are an absolute measurement of focal distance* – a higher number means a zoomed-in view, a low number is a wider view. The “x” ratings are relative, just a ratio of max mm / min mm. As an example, 80mm / 27mm = 3x. * the numbers are typically given in “35mm equivalent” to make comparisons easy. This refers to DSLR cameras with 35mm sensors. You can see what field of view each focal length gives you in tables such as this one. Periscope cameras are not a new concept, you may have seen them in sporty, rugged point-and-shoot cameras. They keep the optics inside (rather than protruding forward), making the system more durable. They do allow smooth zoom instead of being locked to a specific focal length like the first generation smartphone modules are. 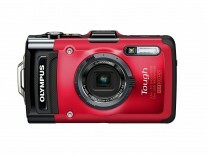 If they are more durable, why don’t all point-and-shoot cameras use this design? It’s trickier to get the same quality of the the optics, so the design is not without tradeoffs. Are you excited about periscope zoom cameras? They will be featured on phones like the Huawei P30 Pro, Oppo Reno and others. You can see leaked camera samples from them here and here, respectively, also our test of the Oppo prototype (a Reno in disguise).